Harley Quinn Spin-Off Already in the Works at Warner Bros.
Margot Robbie will star in and produce the untitled spin-off which will focus on several DC’s female heroes and villains. Ahead of the highly-anticipated “Suicide Squad”, Warner Bros. is already working on a spin-off movie for DC anti-heroine Harley Quinn. According to The Hollywood Reporter, Margot Robbie will star in and produce the untitled spin-off. The project is not a Harley Quinn solo movie. It would focus on several of DC’s female heroes and villains. While character details are being closely guarded, names such as Batgirl and Birds of Prey have surfaced. There is also a scribe penning the script but those details are also being kept secret. The site says that the writer is female. DC recently introduced a new line of comics called DC SuperHero Girls with characters like Harley Quinn, Batgirl, Poison Ivy, Katana and Bumblebee, who can fly and shrink. 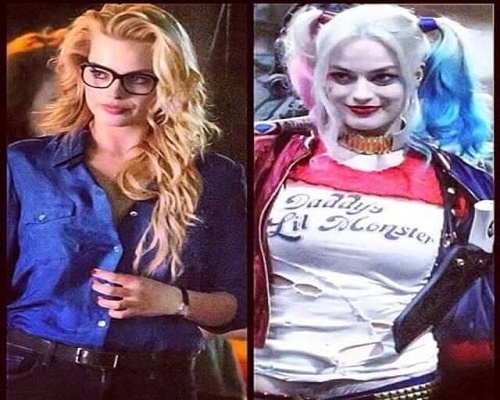 Sources tell the site that Margot was the impetus for the Harley Quinn project. The actress dove deep into the comics to learn as much as possible about her character when she was casted in “Suicide Squad”. In the process, she fell for DC’s female characters, according to the sources. She brought on the writer to help develop the project and presented it to WB, which snapped it up. Directed by Zack Snyder, “Suicide Squad”, starring Margot, Will Smith, Jared Leto, Joel Kinnaman, Viola Davis, Jai Courtney, and Cara Delevingne, is set to hit U.S. theaters on August 5.